In general, the “grease” is a solid to semi-fluid product that consists of a dispersion of a thickening agent in a liquid lubricant. As a rough indication, any grease can contain around 70% to 90% of base oil, 5% to 25% of thickener and 1% to 10% of additives. The thickener system can be thought of as a sponge that contains a matrix with a high surface area forming dense network of voids. In these voids, the base oil and additives are stored until they are needed for lubrication. The stress on the grease encounters can be generated either mechanically or thermally during application (or sometimes storage). The oil separation properties of grease relate to both the product’s lubrication ability and storage stability. The grease should release enough oil in the contact zone of the application (bearings, gears, and others), while not releasing so much oil during storage to cause the product to become unusable. If the oil separates excessively during storage, the grease may not be able to be remixed and used. When a machine is shutoff or when the conditions of mechanical or thermal stress are relaxed, the grease must have the ability to recapture its base oils to return to its original consistency. Grease’s reversibility characteristics are dictated by the type and amount of thickener used. Generally, the higher the thickener content, the less the grease’s reversibility. The grease compositions, contents and materials may offer some “reversibility”. For example, some “Aluminium” complex in soap-based grease can provide good reversibility. Some engineers may think low thickener content can be a good selection (because of reversibility) and other experts might believe high thickener content would be better. A thickener system matrix that does not release its base oils would be unable to perform its lubricating properties. Therefore, it is important for any grease to have a proper balance of base oil and thickener system content to function properly. The static bleeding (the oil release/separation from greases during storage) is more pronounced if the grease is soft in consistency or if the grease’s base oil viscosity is low (below ISO VG 100). If any grease is more than a year old, it should be inspected to ensure that the grease is still within its intended grade and defined limits. The dynamic bleeding is the actual controlled release of the base oils and additives during use because of temperature or mechanical stresses. It is important for grease being used in machinery to have a controlled rate of bleeding in order for it to do its job properly. The grease’s oil bleed/release rate can be affected by a number of factors, including its composition, the type of manufacturing process used to produce the grease and distribute the thickener system within the base oil, and how the grease is stored. The mechanical properties of grease should also be respected in the selection of grease. The mechanical stability, also known as shear stability, is the ability of grease to maintain consistency when subjected to mechanical shear forces. A good starting point for any grease lubrication application is to select the right grease. Too often, the grease selection is oversimplified and the key properties overlooked. The grease selection is actually more complicated than the lubricating oil selection. The selection of the correct grease type for a machine using grease-lubricated bearings is one of the important factors for trouble-free operation. Proper grease specification requires all of the components and details (usually a long list of specifications). 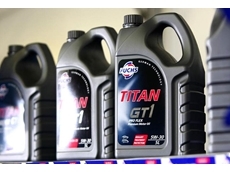 •	The base oil details: base oil viscosity, base oil type, etc. •	The thickener type and details. •	Other details such as concentration, consistency, dropping point, operating temperature range, etc. Many operators give consideration to grease quality, where they are not sure the right grease is selected. More attention is required for the grease selection. Greases are made with different thickeners, such as lithium, calcium or polyurea. Not all greases are compatible with one another, even those with the same thickener type. 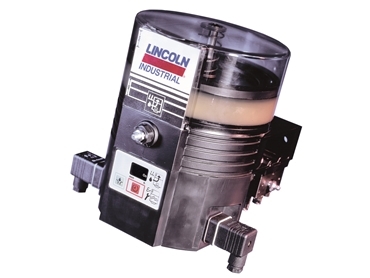 Therefore, it is important to use the same grease or compatible substitute throughout the life of a machine. Approximately 65% of the grease sold worldwide is based on either simple lithium soap or lithium complex thickener. Greases based on lithium soap usually possess many advantages compared to the other alkali metal soaps. For example, they usually have better water resistance properties compared to sodium soap greases, most often better high-temperature properties compared to calcium soap greases, and excellent mechanical properties (both resistance to shearing and good ability to be pumped). Lithium complex greases possess many of the properties of simple lithium soap greases and also have higher dropping points, allowing the greases to be used at higher temperatures. The dropping point of lithium complex greases is usually 250°C or more which is higher compared to simple lithium soap greases (dropping point around 200°C) because of the presence of a second thickener component, known as the “complexing” agent. All lithium greases have good resistance to breakdown due to shear (good resistance to shear). This property makes both simple lithium and lithium complex greases popular for use in a wide range of applications. Many operators prefer lithium complex greases as general-purpose lubricants. This is a good approach, since lithium complex greases can be used in a wide range of applications and over a wide range of temperatures. However, for specific applications, simple lithium soap greases are often the most economical choice. Polyurea grease is popular with many bearings particular for the electric machines. The “Polyurea” is a type of elastomer that is derived from the reaction product of an isocyanate component and a synthetic resin blend component through step-growth polymerisation. A significant percentage of equipment manufacturers specify some type of polyurea grease in their machinery (particularly electric motor drivers). Polyurea-based grease is an excellent choice for machinery and electric motors, but there is an issue that always should be respected. This thickener is incompatible with most other thickeners. Even one brand of polyurea should not be mixed with another. The grease selection should be case by case depending on details of a machine and a service. The following is a list of qualities associated with suitable grease for a general purpose application for an ordinary machinery. •	Usually, the oil with ISO VG 100 or 150 is employed. •	High dropping point is popular, generally above 200°C and preferably above 240°C. •	Low oil bleed characteristics, good channelling characteristics, and good anti-wear performance (but not extreme pressures) are usually required. •	Excellent resistance to high-temperature oxidation, and good low-temperature torque characteristics are generally preferred. Vibration, time and temperature changes can lead to leaching of critical oil components from the grease thickener, leaving a dry soap. Proper selection and correct application of grease are both important. A critical characteristic is the viscosity of the base oil. At sufficiently high temperatures, the oil of grease can boil out of the thickener matrix. Care should be taken during the application and the operation. Accidental mixing of grease can lead to accelerated de-gelling and oil separation. There are many examples of the accidental mixing, including the clashing of organic clay grease with soap-thickened grease. Too much grease in a bearing, punishing mechanical conditions (high loads, misalignment, and others), and starvation can lead to high running temperatures. A well-known issue is the “over-greasing”. In such cases, the dropping point is reached, the bearing begins to bleed, the grease runs dry and eventually failure occurs. In addition, any grease exposed to prolonged vibration or centrifugal forces is also known to separate prematurely. Grease can be applied through centralised application systems, single point automatic application systems, hand packing and a manual grease gun. It is difficult to note a general rule for the selection between the continuous grease application systems and the manual grease gun. A compelling argument may be made for the superiority of continuous application systems for some applications. However, for some other machinery, these continuous application systems cannot be properly applied or fitted. There are usually some practical or operational issues associated with continuous application systems. For this reason, the manual grease gun is commonly used. One requirement of the manual application is that the technician should normally be in close proximity to the lubricated component. This allows for inspections to be made in conjunction with the re-lubrication activity. The grease line extensions (for bearings) often carry more than a few shots of grease. As result the grease could be maintained for some time within the line extensions and the grease entering the bearing might not be robust and fresh. A good approach to solve this issue is to provide access to the greasing point as close to the bearing as possible. 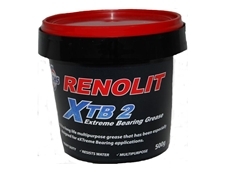 This enables the bearing to be inspected and ensures that fresh grease enters the cavity. In any grease application system, particularly continuous grease application systems, as more grease enters and oil exits, more thickener builds. Eventually, a rigid binding condition develops from the stiff high-density cake (made of the remained thickener). It is known as “cake-lock”. Too often, bearings greased with centralised or single point auto-greasers are at risk for the “cake-lock”. For the centralized greasing systems and auto-greasers, a suitable low-risk grease (low “cake-lock” risk) formulation should be selected. The grease flow should be an optimum to avoid static conditions that give rise to separation and blockage. The over-greasing can be a serious issue in any machinery. If the grease cavity is overfilled and high pressure from the grease gun is applied, the excess grease can find its way between the shaft and the inner bearing cap and press its way into the inside of the machine. Too much volume of grease will cause the bearing elements to churn the grease, trying to push it out of the way, resulting in parasitic energy losses and high operating temperatures, which in turn increase the risk of bearing failure. The grease leakage outside of the bearing has been reported for both open bearings and shielded bearings. It is a universal problem for many types of machinery. Grease relief valves are recommended in some textbooks. These valves can be effective in preventing gross over-lubrication out of the bearing. Grease relief valves can reduce the amount of grease that leaves the bearings when re-lubrication is performed while the machine is running at steady-state operating temperature conditions. They may not function properly during an ambient temperature restart. Practically, the grease relief valves can be indicators of excess grease. An important issue is the thermal expansion of the grease. Considering this fact, re-greasing should be performed when the bearing is at the operating temperature. The re-greasing of bearings should preferably be done when the machine-running. There are several possible causes of grease starvation. The first is insufficient grease being added during installation. The second is inappropriate, elongated re-lubrication intervals. The third possibility is that the oil has been removed from the grease thickener base by excessive heat. 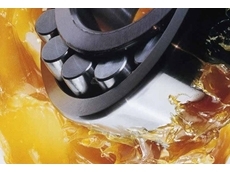 The verification of the bearings and proper greasing procedure is an important step for grease lubrication application. The type of bearings installed in a machine should be correctly verified before the grease application. This will determine if the bearings are re-greasable. A proper policy for the re-greasing of shielded bearings, which are commonly found in many machines, should be identified. Some experts recommend not greasing double-shielded bearings. Tools are now available to extract grease samples directly from running bearing cavities and other rotating part applications. Sampling grease (from an operating component) for consistency, oil content analysis, oxidation and contamination can be very useful. Care should be taken for the grease flow (or the grease re-lubricating volume/frequency) of a bearing. The grease type, the grease flow, and the grease application details should be carefully identified and controlled. Many factors such as operating temperature, seal type/condition, particle contamination, moisture, vibration, and grease quality play important role in determining the flow or the reapplication frequency. The most advanced condition-based technique is the use of acoustic instrumentation to optimize the grease volume, flow and details. A “hybrid” approach is usually the best method for arriving at the optimum re-lubrication details (flow, volume, frequency and other setting) rather than relying solely on calculated values or instrument feedback.